The Professional Regulation Commission (PRC) officially released on Monday, September 7, 2015 the complete list of passers for August 2015 Real Estate Appraiser board exam. Aiko Frances Namuag Sagusay of University of the Philippines (UP) - Diliman topped the board with 87.00 percent grade. 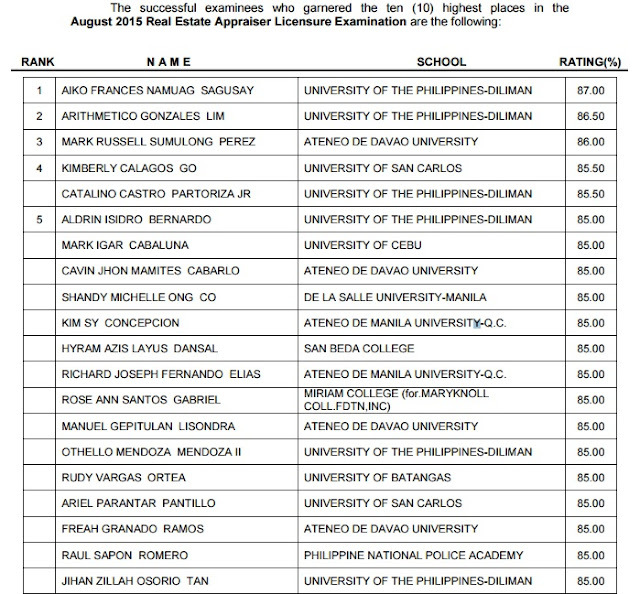 Another UP-Diliman alumnus Arithmetico Gonzales Lim placed second with 86.50 average grade.